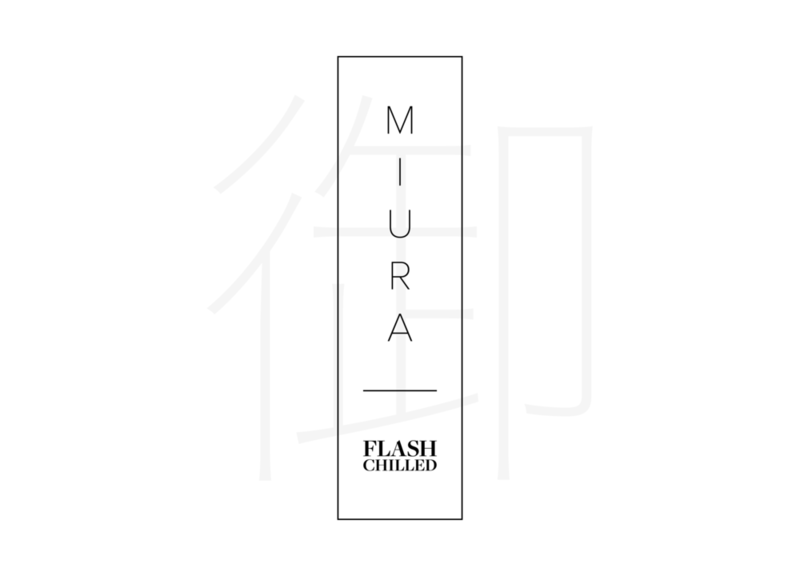 Miura is a flash chilled, ready to drink cold coffee. 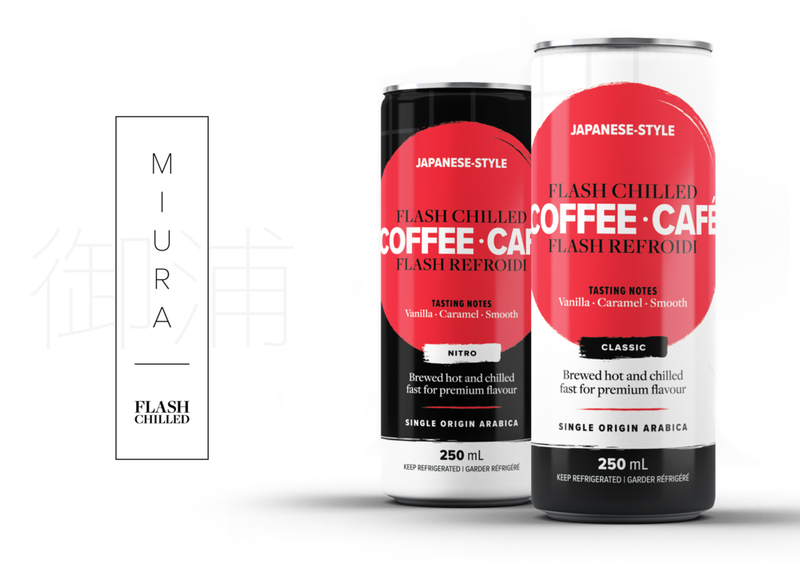 As opposed to cold brew, Miura uses a traditional Japanese method of flash chilling, wherein the coffee is brewed hot and instantly chilled over ice. Miura is unique in that it is the first company bring a ready-to-drink version of this process to market. The Miura brand was inspired by minimalist Japanese aesthetic. The product desired a clean, sophisticated design language to honour the origin of Miura’s unique flash chilling process. The vertical orientation of the logo, as with with most of Miura’s brand elements, were informed by the design of the can. The clean, thin lines mixed with traditional calligraphy strokes and icon red circle contrasted one another to give the brand depth and dynamism. The typefaces, Freight Pro, and Proxima Nova Condensed, mirror this aesthetic as well, one being a simple sans serif, and the other a thicker display serif. 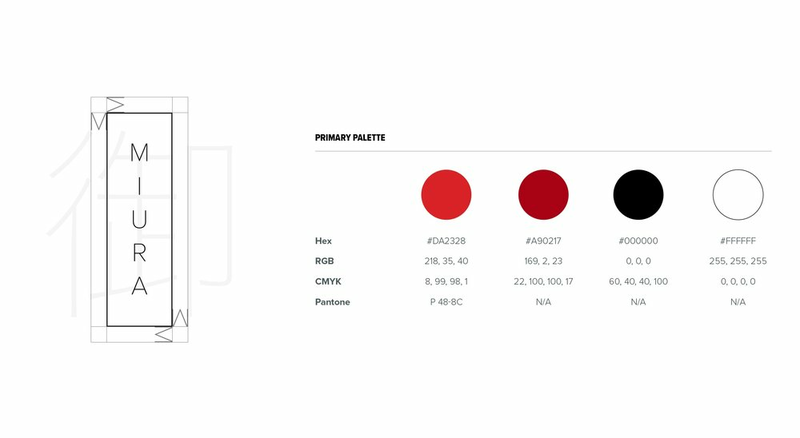 The simple color pallette and strong typography make the cans feel bold, yet refined. This complements the interplay between the clean lines and traditional brush strokes. The simple palette also offered the opportunity to reverse the black and white, distinguishing between the two products, Nitro and Classic. The Miura website is another extension of the clean design language used throughout the product. The website needed to feel modern and clean while being able to effectively communicate what the product is, and why it is unique in the marketplace. The use of a simple, linear snap-scroll navigation system combined with large product photos accomplishes this. The experience on the website needed to be patient, beautiful, and encourage the user to spend more time on the site.